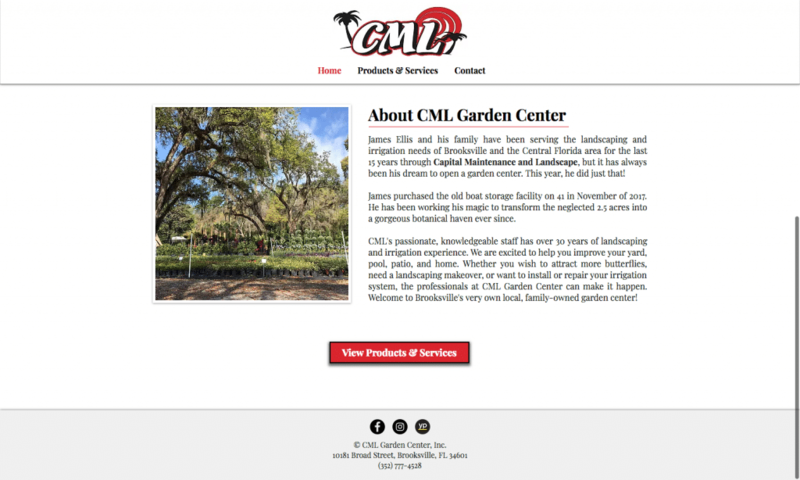 CML Garden Center is a full-service nursery located in Brooksville, Florida. 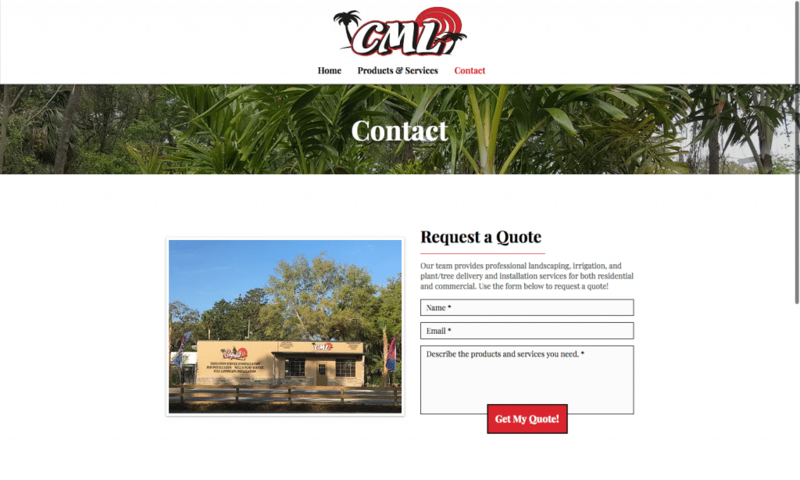 The CML team inquired about a website just a few weeks before their grand opening. 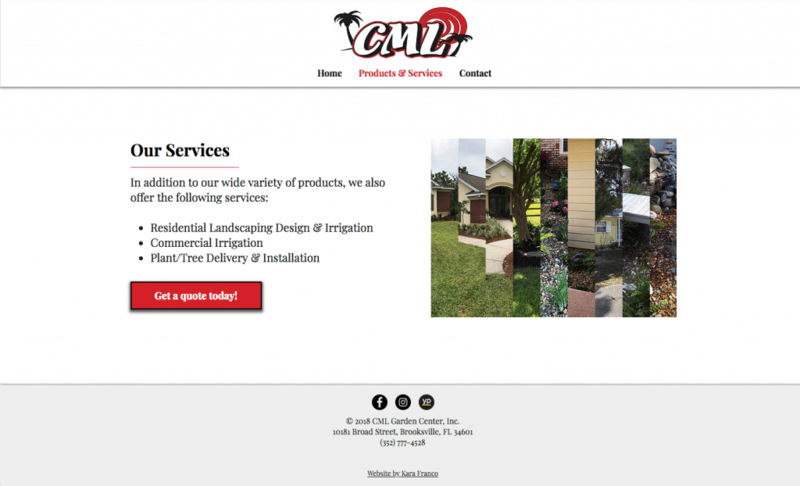 Although they knew they needed a website to draw in new customers, they were busy getting everything else ready for the big day. They definitely didn’t have time to take product photos or build a website themselves. 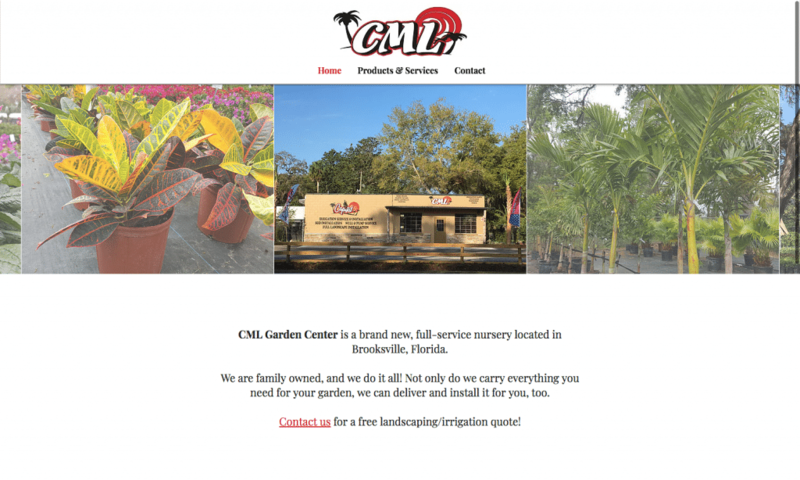 To help this new business get off the ground, I visited the garden center in person, took as many photos as possible, and got their website up and running before the grand opening. 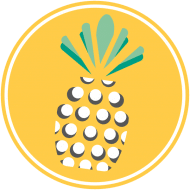 Using their existing logo and color palette, I created a clean, multi-page site that put images of their beautiful plants and accessories front and center. 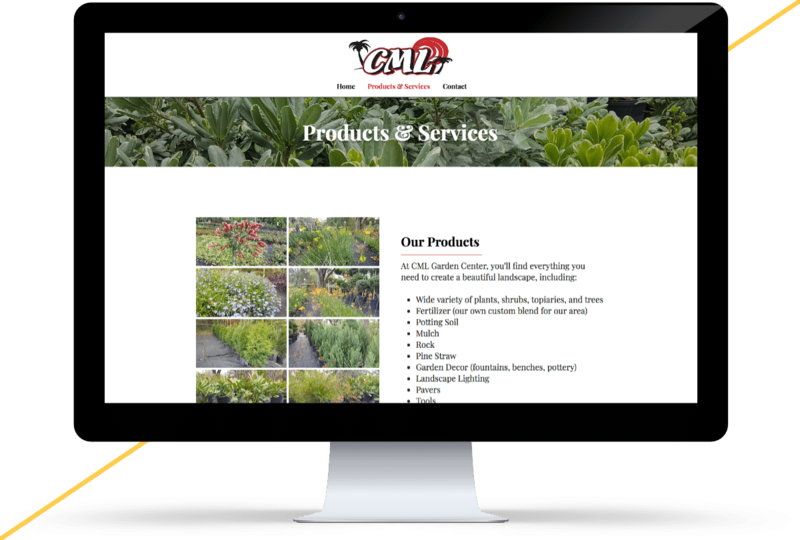 The result is a simple, effective website built with efficiency. Wix websites are a great choice for small businesses that need an easy-to-manage website with minimal setup cost. Contact me for help creating a Wix website for your business.